Fill cocktail mixing glass with ice cubes until 2/3 full. Fill up serving glass with ice cubes. Build first five whiskey sour ingredients in mixing glass and shake well, strain drink into serving glass. 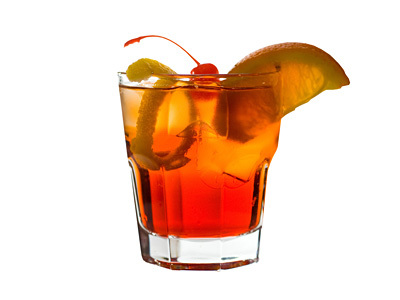 Drop lemon twist and cherry in the drink, rest lemon wedge on the rim and serve.